Lysosomal storage disorders (LSD) are caused by lysosomal dysfunction usually as a consequence of deficiency of a single enzyme required for the metabolism of macromolecules such as lipids, glycoproteins and mucopolysaccharides. For instance, the lack of alpha-Galactosidase A (GLA) activity in Fabry disease patients causes the accumulation of glycosphingolipids in the vasculature leading to multiple organ pathology. Enzyme replacement therapy (ERT), which is the most common treatment of LSD, exhibits several drawbacks mainly related to the instability and low efficacy of the exogenously administered therapeutic enzyme. 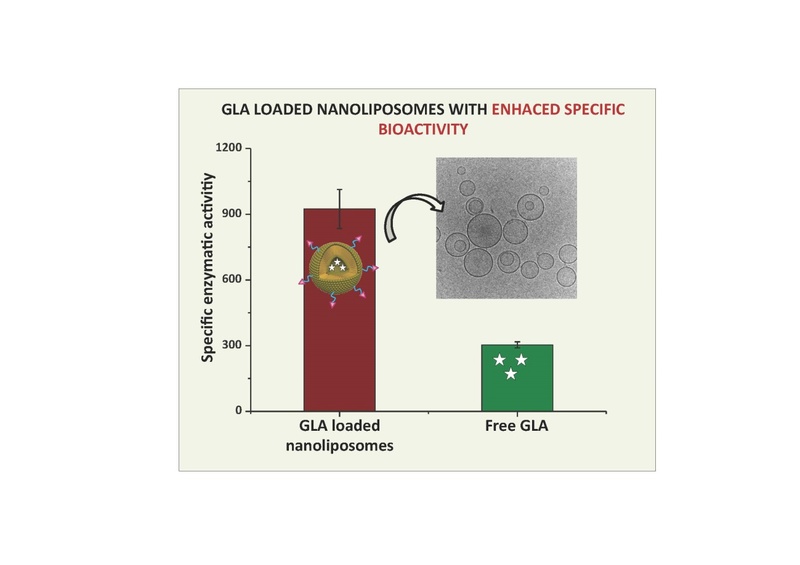 In this work, the unprecedented increased enzymatic activity and intracellular penetration achieved by the association of a human recombinant GLA to nanoliposomes functionalized with RGD peptides is reported. Moreover, these new GLA loaded nanoliposomes lead to a higher efficacy in the reduction of the GLA substrate named globotriasylceramide (Gb3) in a cellular model of Fabry disease, than that achieved by the same concentration of the free enzyme. The preparation of these new liposomal formulations by DELOS-SUSP, based on the Depressurization of a CO2-Expanded Liquid Organic Solution, shows the great potential of this CO2-based methodology for the one-step production of protein-nanoliposome conjugates as bioactive nanomaterials with therapeutic interest. NANBIOSIS participated in the CTLS 2016 Conference. 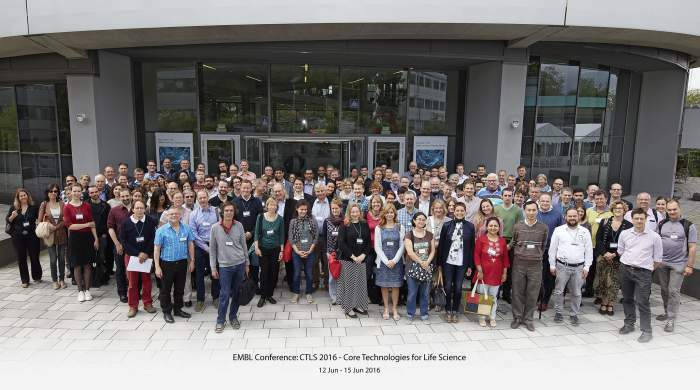 Jesús Izco, Coordinator of NANBIOSIS participated in Core Technologies for Life Science 2016 that took place last 12 – 15 Jun at EMBL in Heidelberg, Germany, taking a unique opportunity to listen and discuss with colleagues and peers about challenges and solutions on all aspects of core facilities and infrastructures. Special mention requires the meeting with Patrick England coordinator of ARBRE, to treat NANBIOSIS participation in the V work package of Cost Action MOBIEU. CTLS 2016 brought together not only scientists, technicians and managers, but also decision makers and opinion leaders involved in Core Technology facilities and resource laboratories in all fields of Life Science. • Building networks, communities and lobbies involving Life Science core facilities. The Governing Board of the Spanish Royal Society of Chemistry (SRSQ) has agreed to grant its Research Excellence Award 2016 to Dr. Ramón Martínez Máñez, Scientific Director of Unit 26 of NANBIOSIS and Scientific Director of CIBER-BBN, in recognition of the quality and innovation of its research in the design of chrome-fluorogenic detection probes and the development of new delivery systems and their impact on biomedical applications. Jesus Izco, Coordinator of NANBIOSIS and José Luis Pedraz, Scientific Director of Unit 10-Drug Formulation of NANBIOSIS and NanoBioCel Group of CIBER-BBN, participated in the 2ª General Assambly of DRIVE project, held in Venice, May 16th-17th 2016. 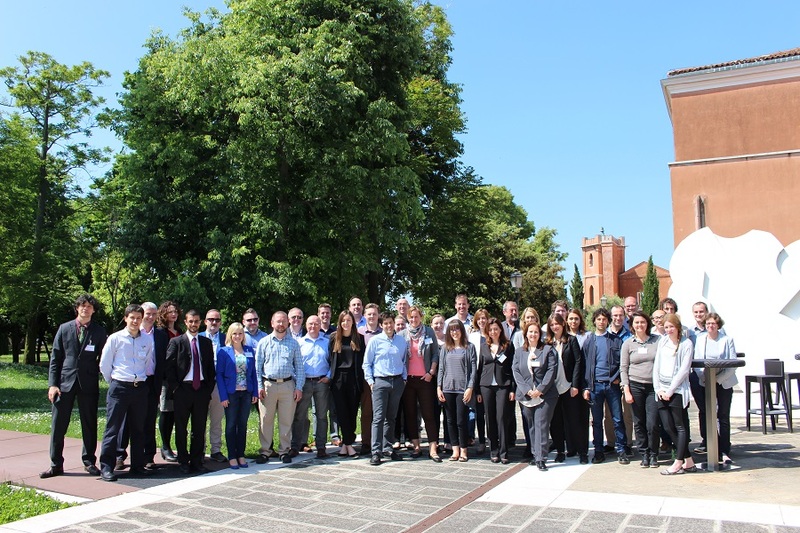 The second General Assembly of European project DRIVE “DIABETES-REVERSING-IMPLANTS FOR ENHANCED VIABILITY AND LONG TERM EFFICACY”, took place last 16 and 17 of May in San Servolo Island, Venice. Jesus Ciriza, from NanoBioCel group, presented the work scheduled for this first year and the results obtained. The DRIVE, a 4-year project to be carried out by 14 European partners, among which is CIBER-BBN, develops biomaterials and new surgical devices to improve transplantation and survival of insulin-producing pancreatic islet for the treatment of diabetes. -Testing β-cell function in β-Gel using 3D in vitro tissue model. Last Friday, 27th May, the "Instituto de Investigación en Ingeniería de Aragón" held the "V Jornada de Jóvenes Investigadores" where phD students presented their works related to different areas: Industrial Technologies, Biomedical Engineering, Processes and Recycling and Information and Communications Technology. Last Friday, 27th May, the “Instituto de Investigación en Ingeniería de Aragón” held the “V Jornada de Jóvenes Investigadores” where phD students presented their works related to different areas: Industrial Technologies, Biomedical Engineering, Processes and Recycling and Information and Communications Technology. 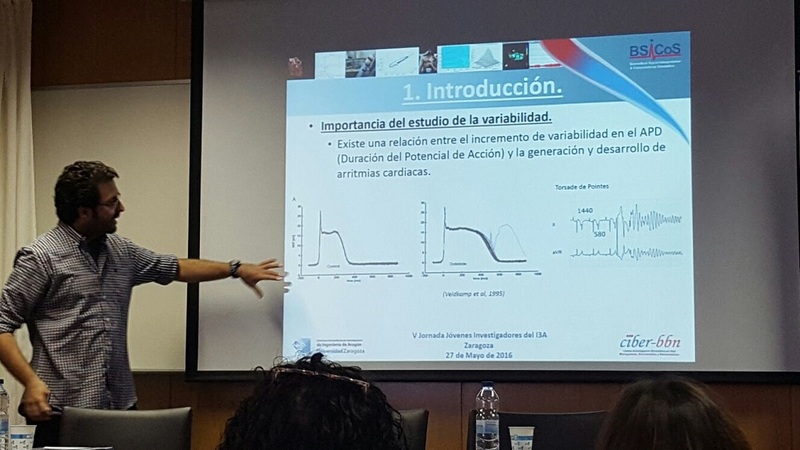 David Adolfo Sampedro Puente, member of the BSICoS, group coordinator of Unit 27 of NANBIOSIS, presented the work entitled “Unscented Kalman Filter for Unobservable Parameter Estimation in Heart Cell Signals”, supervised by Jesús Fernández Bes and Esther Pueyo Paules. This work shows a methodology to estimate unobservable parameters, such as the number of the different ion channel typologies located in the cardiomyocyte membrane, from action potential (AP) signals. This methodology was validated using synthetic AP signals simulated by stochastic computational cell models. In future, this methodology will be used to real signals, recorded in human cardiomyocytes, to help to the study of the AP temporal variability characterization.